​Stop solicitors before they ring your bell! 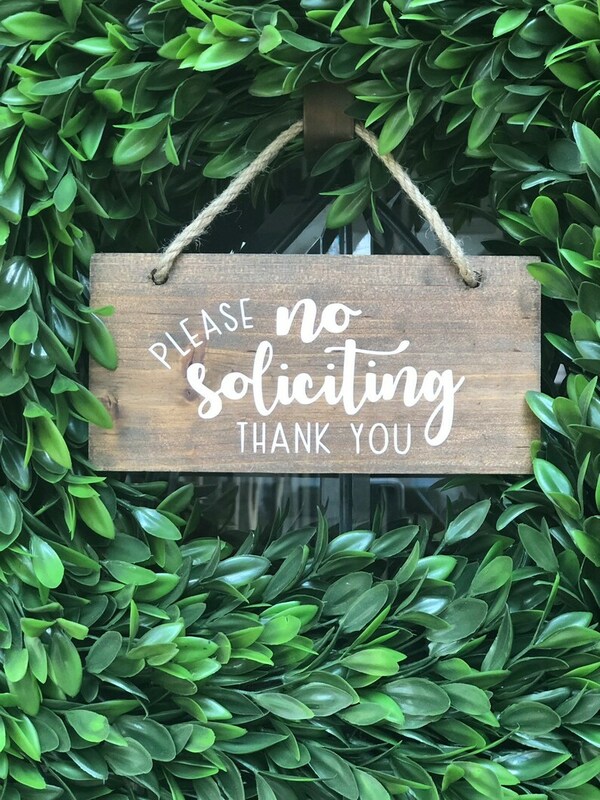 Enjoy more uninterrupted time with this cute and functional "No Soliciting" sign. This handmade sign measures approximately 8 inches by .5 inches by 4 inches and includes a jute hanger. Stained in dark walnut on all sides and finished with white vinyl lettering. Sign should be displayed in covered area. It's the perfect sign to add to a wreath or hang above your doorbell.